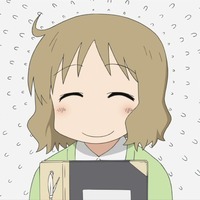 This is a Fan Dubbing Project for Nichijou, a show that definitely deserves a dub, but never got one do to licensing issues. My channel: Qartoons Productions, is a growing channel that will have four series' scheduled for Spring of 2016. 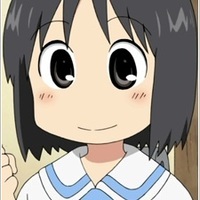 The Nichijou dub is set to be one of these series and if planning to debut sometime in late May to early July. 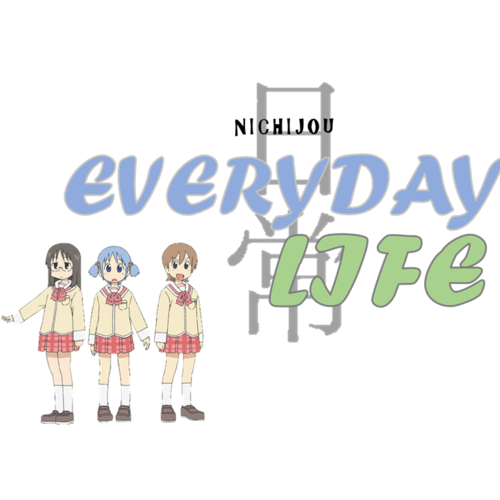 Nichijou is a comedy anime series made in 2011. It is based off of a manga of the same name and involves a number of quick gags and skits throughout the episodes. These are mostly random, yet they mostly focus on three high school girls: Yuuko, Mio, and Mai, and on the other side, three other characters, Nano, Hakase, and Sakamoto. Please note that I am planning to see this project to the end. 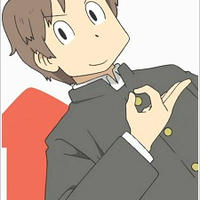 The show aired a total of 26 episodes, an extra one counting Episode 0. If you make the audition, you will most likely have to stay put until the show is completely done, unless I am able to find a replacement. Also, be ready to yell if you are planning on joining this project... There is a lot of yelling. If you don't make a role here, don't worry! As the series continues, there will be plenty of casting calls for extra characters! Just be patient and enjoy the dubbing as it is! Final thing: I want as little background static and you can get. I want this to seem at least somewhat respectable. Yuuko is one of the major roles. 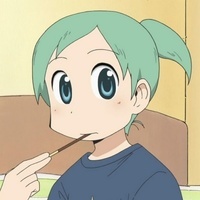 She is one of the three trio high school students that the show focuses on majorly. She is a bit of a slacker when it comes to school work and studying. However, she is also very imaginative and often comes up with very crazy scenarios. She is probably the most reactive out of the three, as she is constantly noticing every little detail about something and making assumptions from it. She also really loves jokes, although they often aren't very good. 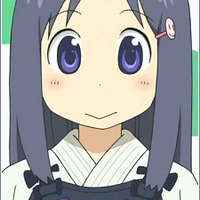 Yuuko is also probably the most unluckiest character in the show. Nothing ever seems to go her way whatever it may be that she is trying to do. She may get hit in the head by a wooden doll, or by a giant metal bell. It is thought that she is still wondering what a Doppio is to this day. She is very competitive and never likes to lose at a game she likes to play, although she is the most playful out of the trio schoolgirls. But then again, it IS rare to get hit by a wooden doll. Mai is the least reactive out of the trio schoolgirls, yet she is probably one of the best pranksters yet. She is very stoic, showing close to no emotion 99% of the time. There are very few instances where she may smile or even laugh. She has a very great sense of humor though, as she is often seen trolling the other characters in the show, with very elaborate pranks. There isn't much else to say about Mai. Her actions speak for herself. 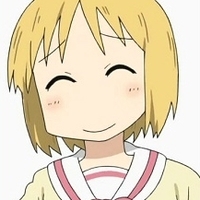 Mio is probably the most normal out of the three main cast members. She is a very great drawer, her art being akin to manga artists. She is also pretty athletic, although most of her abilities are done through martial arts. Out of the main three, she has the shortest temper, and is quick to react to situations that seem difficult. She will often overreact and knock a few people out of pure emotion. 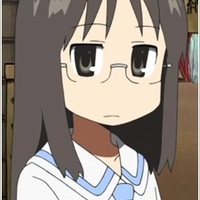 She is, however, the most academic out of the three (well, Mai's abilities are uncertain) and will often have to help Yuuko out when it comes to finishing her homework. Well! You'll just have to try! Wow... That's weird... I wonder where it came from. Nano is a robot caretaker to Hakase Shinonome... Well, Hakase really means professor, but whatever. 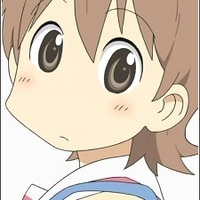 She is very shy and timid and wants to be a normal girl. The main problem is that the professor installed a giant key on her back, making her very conspicuous. She is constantly worrying about her key and she has abilities that she doesn't even know of that make her even more noticeable to others. She, however, is a very kind individual and will help out when it calls for it. She is scared of thunder and cockroaches. Wait! No, this isn't a robot key! 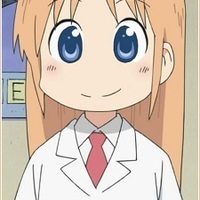 Hakase means professor. 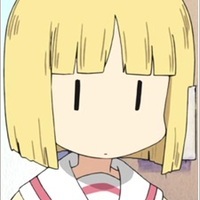 This is the only name of her that we know, so that shall be what we will refer to her as, Hakase is an eight year old genius that still acts her age. She created Nano, her robot caretaker. She is very immature however and loves to eat snacks. She has little self control, although she well tell you she does. However, she is very nice, just very immature. She isn't exactly snobby, but she may whine to get her way. She is probably the cutest character on the show and will always play around and act silly. But, I want a rice omelet! Milky! Milky! Milky! Milky! Yay! 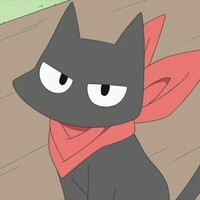 Sakamoto is a cat that Nano and Hakase eventually find and begin to care for. 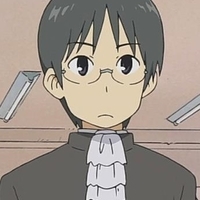 They soon give him a scarf that Hakase made that allows him to speak. 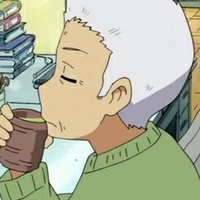 Sakamoto, who is 26 in human years, acts condescending on the two youngsters, and he is constantly acting like the parent, telling them to refer to him as Mr. Sakamoto and to respect him. However, he still retains qualities of a cat. While chastising the kids on mannerisms, he may get distracted my a moving toy or ball himself. 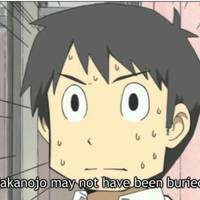 He also is a major scapegoat for Hakase when Nano gets on her case. Hey kid, you need some self control. Koujirou is a son of a farming family. However, this doesn't stop him from thinking he is rich and high class. He comes to school riding on a goat and aided by his butler, that does nearly everything for him. Koujirou is well spoken, and doesn't come off too much as spoiled, but he can be distracted by very small things. He sometimes doesn't even make sense when he speaks. ...What did you say about goats...? They aren't against school policy!!! 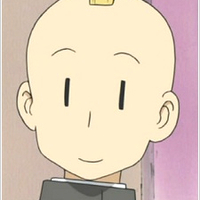 Tsuyoshi is a boy that attends the High School the three main characters attend. He has a yellow Mohawk and is mostly involved in certain gags and skits. His hair doesn't grow from the sides, giving him a natural Mohawk. He also is a firm believer in science and wants to be a scientist when he grows up. He tries to deny the existence of things like mediums and the supernatural. He also may get his hair shaved off from time to time. It doesn't grow from the sides, OKAY?! 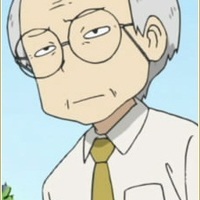 Sakurai-sensei is a teacher at high school. She is an English teacher that is very shy and timid. She tries to enact a little discipline in her students, yet it usually ends in her simply whimpering and saying sorry (or just standing there shaking with a forced grin on her face). Uh... If you know anything about this, please tell me! 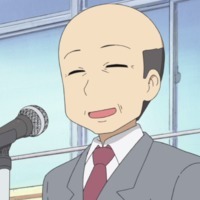 The principle is bald, and wears a toupee. He tries to get his hair to grow back, but it never works. He is very sensitive about his hair in fact. He is a rational thinker, often found in insane situations. He tries to stay calm in all situations, yet is paranoid that the Vice-Principle will take his job. He is a very big goofball, and makes jokes at his speeches that nobody laughs at. I gave you a statue on your birthday... But you didn't want the statue for your birthday... Shinonome. He is a vice principle at the high school and is suffering through a mid-life crisis. Most of his life, there have been unfortunate circumstances to come to him, so he feels so very happy once his daughter and grandson come to visit. His main gag is that he tries to do something with his grandson, hoping to feel happier, yet he makes him do something not as gleeful. That's it! I'll have fun with my grandson! Ehhhhh-Chan is her well-deserved nickname. 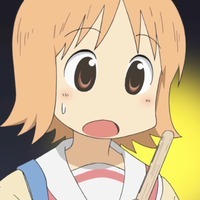 Haruna is another gag character in this anime and her gag is that she is often in very confusing situations that involve taking strange orders that don't make sense. Her reaction to this is for her to go, "eeeeeeeeeeeeeeeeeeh?! ", so we are looking for someone that can really live up to her name. She is very nice, but also very confused by alot of things, and when they become to overwhelming, she usually just succumbs to them. What do you think I'm supposed to do with this sir?! I have only one shot left sir! Ken is the president of the Igo-Soccer club and gets bored very easily. He always wants to play a game, as he simply came up with Igo-Soccer on a whim without any direction. He sometimes feels a bit lonely, but he simply wants to play SOMETHING. [In a whiny tone] Come on... Let's play a game! Yuria is a very stoic, yet very shy character that is a member of the Igo Soccer Club. She mostly only interacts with Daiku, which it is implied that she has a crush on. She doesn't talk much, and likes to read manga (mainly Helvetica Standard). She also like calligraphy. Manabu is a teacher at the high school. He tries to take his job seriously, yet he almost always gets dumbfounded for his love with Sakurai-sensei. He is lovestruck with one sided love, and always makes an attempt to get closer to her, yet it usually ends up failing. The main gag with Manabu is that there will be two situations. One usually has to do with his crush or something he needs to know about, and the other is Haruna informing him on an issue, usually with Tsuyoshi involved. He suddenly gives Haruna a very insane order to fix it to buy time, to which she will agree, and then he will retract that statement and ask her something. Realizing he is safe, he will then run off to try and solve Haruna's problem, usually going the wrong way to get there. What is this? I can't move! Misato is a fiery red head that may have a crush on Sasahara. However, she continues to deny it, and goes towards extreme acts of violence to show it. She constantly gets on Sasahara's case, sometimes to stalker level, and will not hesitate to lash out on him. 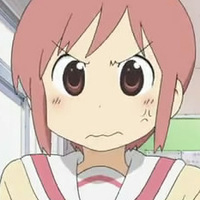 Yes, she is Tsundere, but she takes it too the next level. She coins the word, Gundere, for when she gets mad at Sasahara, she will pull out weapons like guns, bazookas, and machine guns. 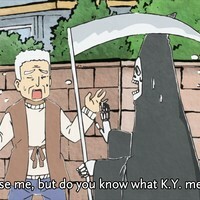 Of course, in this gaggy anime, he doesn't die when fired at and only leaves with minor injuries that he usually ignores. [singing softly] Happy birthday to me... Happy birthday to me... Happy birthday Yoshino... Happy birthday to me! 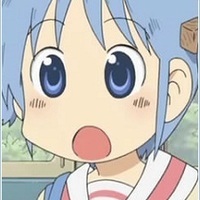 It's your dearest sister Yoshino!!! That's wrong! Wrong! Wrong! You're supposed to question my pranks! You question them!!! 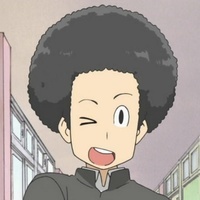 Tanaka has an afro that he stashes a bunch of stuff in. He is pretty chill, yet he is also a bit mundane in some situations unless it references him in particular. It's blistering! Scorching even! Like an oven! Hot I say! It's hot! Tomioka is a history teacher at the high school. He enjoys gambling without betting real money and stays calms in almost all situations. He is easy to get along with but takes his occupation seriously and professionally. Couldn't you ride... A bike or something? Wow, his parents are farmers? Weboshii is friends with Fe-chan and Misato. She is caring and supportive and will encourage Fe and Misato whenever the time comes to it. Hey! Why do you have that?! A character from Helvetica Standard. He is very dopey and doesn't know what clueless means, yet he scares everyone he meets. He is clueless himself. Please! 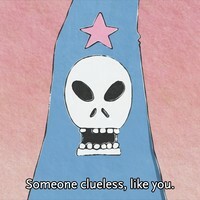 Tell me what clueless means! Sir! What does clueless mean?! He is very stern and informs the Grim Reaper what clueless means... Him. A boy that is panicking from a fire alarm being pushed. She is a girl panicking from a fire alarm being pushed.